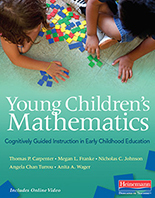 In this unique guide, classroom teachers, coaches, curriculum coordinators, college students, and teacher educators get a practical look at the foundational concepts and skills of early mathematics, and see how to implement them in their early childhood classrooms. 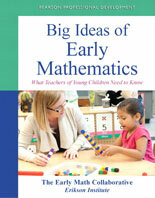 Big Ideas of Early Mathematics presents the skills educators need to organize for mathematics teaching and learning during the early years. 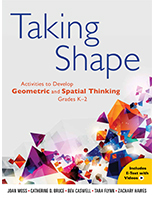 For teachers of children ages three through six, the book provides foundations for further mathematics learning and helps facilitate long-term mathematical understanding.